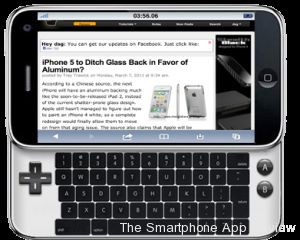 “physical controller” for iOS, a 4.6-inch screen and more appearing around the web. Should they be implemented, all of these features could have a massive impact on iPhone gaming. The potential of a physical controller is huge: Platform games, first person shooters and more would all benefit from more precise controls. A 3D camera would provide developers with the opportunity to include real life objects in games. Patently Apple have outlined the idea of rotating an object in front of the camera to create a three-dimensional model of it. The gaming potential of that kind of technology is massive. Imagine playing Zen Bound using an object that you’re holding. Having a bigger retina display would also be beneficial to iPhone gaming, allowing developers more screen space to play with. Games could be rid of cramped touch controls; The Blocks Cometh wouldn’t need a landscape mode for those struggling to jump around on screen using touch controls in portrait orientation. But of course, such features might well never see the light of day. I’m not even sure that I’d want a physical controller for the iPhone: the current lack of one encourages innovation, forcing developers into searching for engaging ways to allow user control. Smash Cops wouldn’t be nearly as fun if it just used a standard joystick. Although some iPhone gaming genres would benefit hugely from a physical controller, others could well suffer because of the reduced incentive for innovation amongst developers. The same argument can’t be made for a three-dimensional camera, but a bigger display might also harm iPhone gaming. Were it to accompany a general increase in device size, the iPhone might become less comfortable to hold, meaning that users would be forced to reduce their playtime. However, the fact that there could be negatives to new features isn’t a reason against introducing them. As I see it, iPhone technology needs to progress in a more exciting way even if it harms some branches of iPhone gaming along the way. Over the past year, Apple’s new products have struck me as somewhat… boring. Rather than being really innovative, they’ve been very much incremental upgrades. Processor and 2D camera upgrades are all very well, but the next iPhone needs something really exciting to spice up its arsenal. 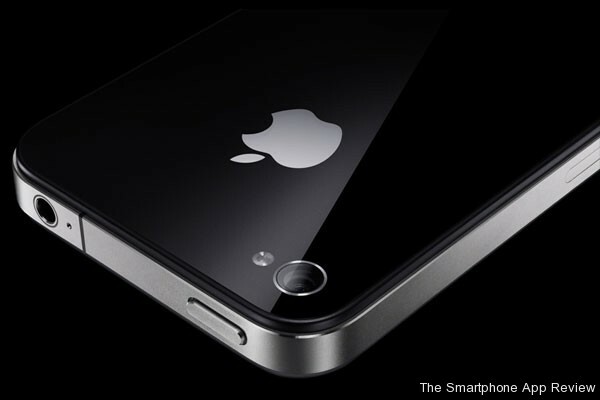 So, in the vaguest of terms possible, that’s what I want to see on the iPhone 5: Something exciting. It could be anything, but what would really be best is something that can never be guessed. Something completely unexpected. Imagine if the next iPhone had a bendable screen, or a Vita-style rear touch pad (okay, maybe that’s a bad idea). As technologically unlikely as it is, imagine if it had a 3D screen that was viewable from any angle. Maybe it could have an expansion of the Wii Vitality Sensor concept: A watch-bracelet accessory for the iPhone that measured your pulse as you played, allowing game developers to tailor gameplay to your heartbeat. It would be great fun playing a horror game that launched monsters at you when your heart rate suggested that you were most susceptible to shock. That kind of fright factor would take games like the audio-only Papa Sangre to a whole new level. As futile as it is attempting to deduce what the next exciting development in iPhone gaming might be, the number of rumours attempting to do exactly that demonstrate the widespread demand for something that will add more tang to App Store games on the next generation of hardware. Apple have demonstrated time and time again how revolutionary their products can be. 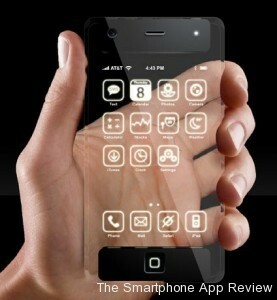 Let’s just hope that with the iPhone 5, they’ll demonstrate their ability to innovate once again. I think a bump up to a 4inch screen has to be included in the next phone. I think that it’s likely, and would be definitely be a positive improvement.